Nasal drip is a relatively common health issue that people at all ages may have to face at least once in their whole life. This condition expresses through the excess production of nasal mucus. 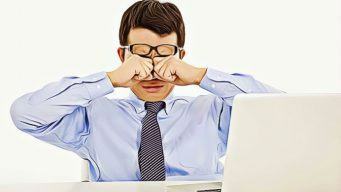 Normally, you will not see the mucus dripping from your nose because you unconsciously swallow it throughout the day. However, when the mucus is overproduced, it will start dripping from your nose’s back, leading to the post-nasal drip issue. Glands in the lining of your airways, throat, and nose produce mucus continually – a wet, thick substance. It fights infections, traps and clears inhaled foreign matter, humidifies the air in the airways, and cleans and moistens the nasal membranes. PND – Post-nasal drip – is a relatively common health issue that happens due to the excess mucus production of the nasal mucosa. It is an extremely uncomfortable and irritating health condition to deal with and it may leave terrible impacts on people of all ages. The common signs and symptoms of this condition may include difficulty swallowing, congestion, coughing, a sore or irritated throat, hoarseness, and a general sense of weakness. Nasal drip can be caused by many of trigger factors, including perfumes, fumes from chemicals and hormonal changes in the body, sinus infection, allergies, the common flu and cold, certain medications, spicy foods, excessively dry air, cold temperature, smoke, cleaning products, or other irritants. While there are several trigger factors that can lead to the excessive production of nasal mucus, people can deal with many cases of this health issue right at the comfort of their own home using just simple and easy to find natural ingredients. However, if after making use of these home remedies for more than one week, you should consult a prestigious professional or doctor. Keep your home clean by dusting and vacuuming 2 times per week. After blowing your nose, always remember to wash your hands. Use a tissue to blow your nose, and immediately throw them away. This is the very first tip on how to stop nasal drip naturally that I would like to reveal in the article today and want my readers to learn and remember to make use for good! When dealing with the nasal drip, it is essential for sufferers to consume a lot of foods that are high in vitamin C. Vitamin C is actually a strong antioxidant agent that can help in building resistance against several types of infections and boosting the immune system. You can also consume more foods that are high in vitamin C, such as lemons, tomatoes, broccoli, dark leafy greens, berries, papaya, kiwis, bell peppers, and oranges. You just need to consume broths, vegetable soup, chicken soup, green tea, and hot lemonade. Throughout the day, you should also consume an ample amount of water. You should choose warm water to drink for achieving the best results as desired. Avoid drinking soda, alcohol, and caffeine, which can lead to dehydration. This is also one of the most effective tips on how to stop nasal drip naturally that people should learn and make use right today! Don’t think that water is just necessary for satisfying your thirst, it is essential for your nasal system, so try it out! You just need to take an equal amount of water to dilute raw, unfiltered apple cider vinegar. Then, heat the liquid until it steams and you can take an inhalation over the Apply this treatment tips 2 – 3 times per for about 4 – 5 days or until you see the improvement you desired. You can also mix in one cup of warm water a little raw honey with one or two tablespoons of raw, unfiltered apple cider vinegar. Consume this combination twice per day for about 4 – 5 days or until you see the improvement you desired. Lemon can aid effectively in loosening mucus for easy elimination. Besides, good intake of vitamin C can help to improve the resistance against infections of the whole body. To make use of lemon to deal with the nasal drip issue, you just need to add lemon juice to one cup of green tea or black tea to drink every day. Alternatively, you can squeeze the juice of half a lemon into one cup of warm water. For more flavor, you can add some honey (raw). Consume this solution on an empty stomach in the morning before consuming anything else and about 2 – 3 times throughout the day so that you will be able to reduce the production of mucus and prevent it from dripping down your face. This is actually one of the most effective natural home remedies and tips on how to stop nasal drip naturally and fast that I want to reveal in this article and want my readers to learn and remember to make use every day. Cayenne pepper is also extremely healthy in terms of dealing with the nasal drip issue. First, you simply need to increase the daily intake of cayenne pepper by adding this natural ingredient to your daily meals and cooking. Other way you can use is to add half to one teaspoon of powdered cayenne pepper to one cup of warm water and slowly sip this spicy tea. Apply this tip 2 – 3 times on a daily basis until your see the improvement you desired. Alternatively, you just need to mix half a teaspoon each of honey and cayenne pepper and consume it a few times on a daily basis for about 3 – 4 days to achieve the best results as desired. In fact, making use of cayenne pepper is on top of the best tips on how to stop nasal drip naturally with ease! To make use of this natural ingredient, you just need to chew some slices of raw ginger several times on a daily basis and remember to add ginger to your daily meals. Alternatively, you just need to consume ginger tea a few times throughout the day. To make ginger tea, put in one or two cups of water 1 tablespoon of sliced ginger and allow it to simmer within about ten minutes over low heat. Strain the tea, add some honey for increasing flavor and enjoy it! After consulting your doctor, you just need to take garlic supplements to stop the condition fast and effectively. Alternatively, you can opt for chewing a small piece of raw garlic for about 2 – 3 times on a daily basis. Another choice for you is to chop three or four garlic cloves and roast them in one teaspoon of butter (clarified) within about 60 seconds. Consume the garlic slices with warm milk 2 times per day for about 4 – 5 days or until you see the improvement as desired. Actually, this is also among the best and most effective tips on how to stop nasal drip naturally that I want to reveal in this entire article and people who are dealing with this nasal issue should learn and make use for good! Another tip on how to stop nasal drip naturally at home I want to reveal in this entire article is the use of nasal irrigation. Add to a cup of warm water (distilled) a pinch of baking soda and one quarter of a teaspoon of salt. Use this solution to fill a neti pot. 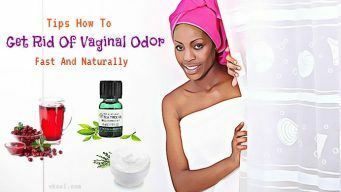 Tilt your head to one side and spray the liquid into each of your nostrils while standing over a sink. Move the head side-to-side, forward, and back to help this liquid reach the nasal cavities. For removing the excessive nasal mucus and solution, blow your nose. Reapply this treatment tip once on daily basis for about 4 – 5 days and then 2 – 3 times per week. Another tip on how to stop nasal drip naturally within a short time I would like to introduce is that people should make use of steam inhalation. Prepare one bowl of hot, boiling water. Over your head, drape a towel and keep your face over the hot water. Inhale the steam deeply and slowly within about ten minutes, and then blow your nose to remove excess mucus. Apply this treatment method two or three times per day until your condition recovered completely. To break up the mucus, people can even take warm showers. Note: For too young children, the steam inhalation therapy is not recommended. This is the last but extremely important and effective tip on how to stop nasal drip naturally at home that I really want my readers to learn, remember, and make use! Add to one cup of warm water half a teaspoon of salt. Stir the water thoroughly until the salt is completely dissolved. Gargle your throat with this liquid for about 2 – 3 times on a daily basis for a few days to achieve the best results fast and effectively as desired. Now, after introducing the entire collection of easy to implement yet very effective home remedies, natural therapies and treatment tips on how to stop nasal drip naturally on face, I also want to introduce to you and my other readers another related article with a related topic – dealing with post-nasal drip – the Top 7 Natural Home Remedies For Post-Nasal Drip article. This is also a writing that comes with the major purpose of helping know how they can deal with and beat off the post-nasal drip issue fast and naturally just by making use of some simple home remedies. In fact, people who are struggling with this nasal issue should not concern about the side effects they may have to face during the healing process with these remedies, but it is totally not worth concerning at all! These home remedies and treatment tips are 100% naturally so people do not need to make use of any type of pills, drugs, or medications and also never get any side effect. Therefore, I hope that my dear readers will read this recommended article and learn how they can apply the tips revealed inside to quickly stop the nasal issue they are currently facing every day! The article today reveals the full list of natural home remedies, therapies, and simple to follow tips on how to stop nasal drip naturally that are good for several readers of VKool.com and other people who are also dealing with the nasal drip issue and really want to stop this condition fast without using drug, pill, or medical interventions. 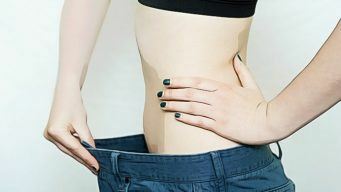 Therefore, people should learn the treatment tips and home remedies I revealed in the article above and apply them to deal with the current condition efficiently without meeting any unwanted side effects. If you think that the tips on how to stop nasal drip fast and naturally that I introduced and combined in the article today are really necessary for you to learn and apply as you are suffering from this stubborn and hateful issue and really want to stop it fast and naturally, do not feel hesitate because all of them are yours for no condition. Or else, if you do not want to learn and make use of this list alone but want to share it with anyone you know who are also looking for ways to stop their own nasal drip situation, feel free to share the article widely and make use together with other people for good! One more thing, as an author of Vkool.com, I really want to know what you and my all readers think about this article and its content, so remember to leave your comments and feedbacks in the comment section below!